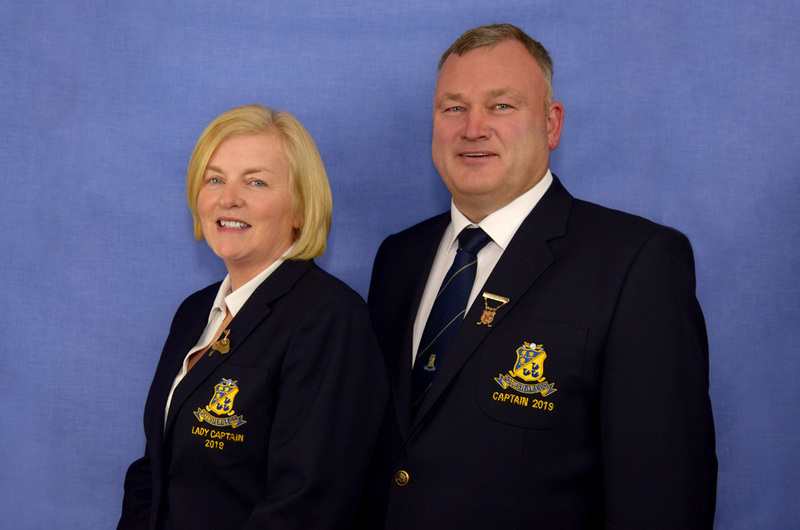 A message from our Captains Padraic & Imelda. We are honoured to have been elected as Captains of this wonderful golf club for 2019. We appreciate all of the support and good wishes we have received so far and we commit to work hard for the year ahead to represent our members at home and away. We also wish all of those who play the course, both members and guests, a great year of golf ahead. numerous occasions. As our name suggests we are planted with over 1,000 trees of huge variety which allow players to feel the course is not crowded, even on the busiest of days. We are very lucky to have the support of a fabulous team of staff and volunteers who maintain our course and we are excited to work with you all to continue to present a very challenging but fair test of golf. This will be an exciting year for all golfers with the introduction of the New Rules and we are keen to help spread the word on the changes which are coming our way. The new rules are designed to improve the pace of play and simplify the game. Don’t be shy, when you see us say hello. We are happy to welcome members (new and old) and guests (first timers and returning) and we look forward to seeing you enjoy what we have to offer.